There will be bad days but remember that there is beauty in contrast. With every fall there is a rise. With every change there is growth. With every hurt there is hope. With every ending, there is a new beginning. Do not let the bad stop you from discovering the good. Sometimes things have to fall apart in order for the right things to fall into place. Hold on to what is good. Believe that the best is yet to come. Trust the process. Remember stars can't shine without darkness — we need the dark in order to appreciate everything that shines. Shining stars hang from a delicate chain. 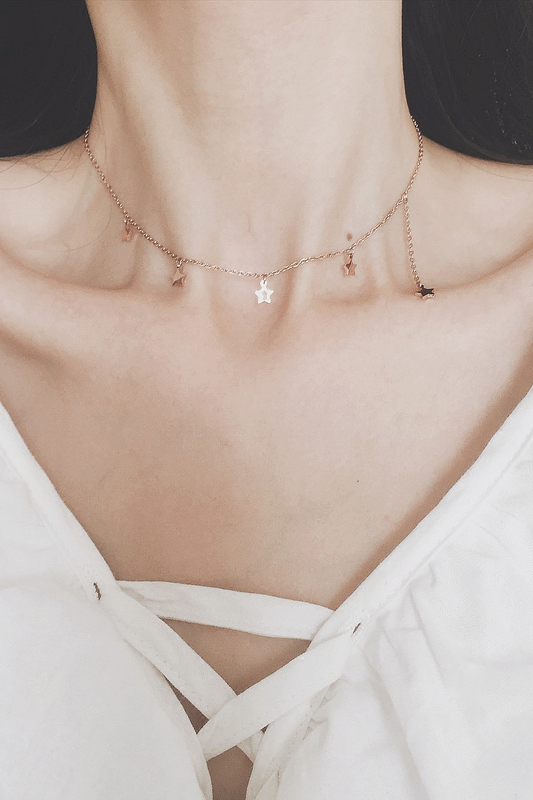 Wear this necklace as a reminder that there is beauty in contrast — stars can't shine without darkness.